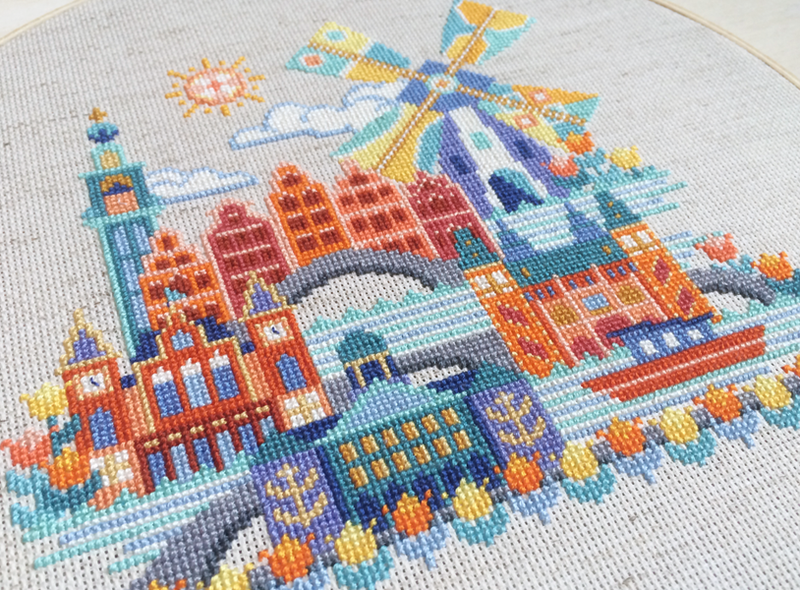 “Grandma” and “Kitsch” are NOT the words you would use to describe Jody’s beautiful cross-stitch patterns from her online store Satsuma Street. As an avid crafter who likes to try her hand at everything, I was gobsmacked by the beautiful and unique patterns which are modern, bright and fun; these are now on my ‘to buy’ list! 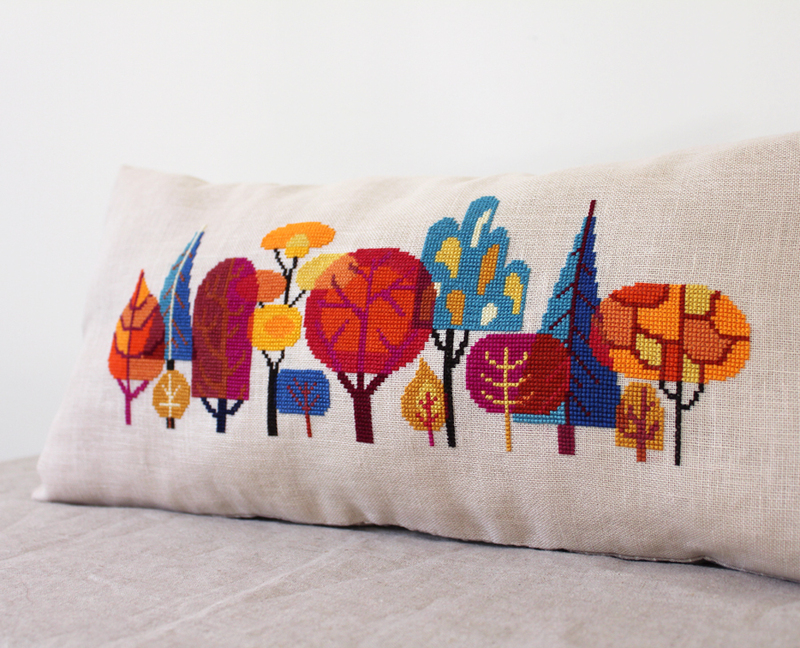 Read on to hear more of Jody’s amazing career story and how she sold over 12,000 patterns so far on Etsy. All of my careers so far have been creative ones, but very different! I have a degree in costume design and started my working life as a seamstress and costumer. After doing that for a while, I decided to go to film school and got my Master’s degree in animation. I worked in Hollywood in the visual effects field for big action movies, but after a few years I got tired of the intense hours and unpredictable nature of the entertainment business. 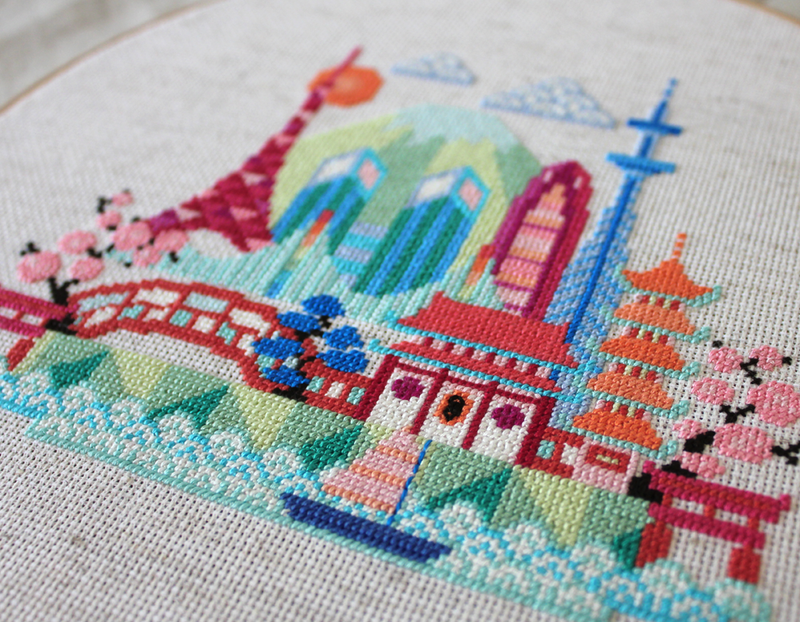 That’s when I decided to start my own business designing cross-stitch patterns, at first just as a sideline. Much to my surprise, Satsuma Street took off almost immediately, and within a year it had become my full-time job. The biggest challenge has really been trusting my own instincts. I’ve started to get all kinds of offers for ways to expand and diversify, but when you run your own business and work completely alone, it’s hard sometimes to trust your own choices. Making the decision to trust my gut and only say “yes” to things that feel right to me has been tough, but so far it’s worked out. 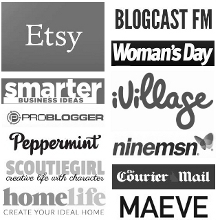 When I was approached by the public radio show Marketplace, who wanted to do a story on my business, I just about fell over I was so surprised! The radio story ran nation-wide over a three day period, so it was really fun to watch the traffic to my shop go through the roof as people all over the country discovered me. It seems like finding the time to achieve all your ideas is the most common struggle I hear from creative entrepreneurs! That’s definitely my greatest frustration these days, I already work seven days a week and yet still don’t have enough time to do it all. Because I’ve always managed to make a living from my creativity in some way, I don’t doubt that I will find a way to keep doing that, even if I can’t totally predict what the future will hold. I definitely go through creative slumps, but I’ve come to think of them as a normal part of the creative process and I try not to let them worry me too much. So if I’m feeling stuck, I still try to do something creative every day, even if it’s just going to a museum and staring at a favorite painting. I think as long as you try to stay mindful of the world around you, and really make a point to notice the beauty and details even in the smallest things, you will always find inspiration. My days are really varied, some days I’m sketching new ideas, others I’m doing nothing but responding to customers and working on social media posts. That’s the great thing about working from home, you can keep your schedule really flexible. The downside to working from home is that it’s very easy to work seven days a week, or till all hours of the night! Because I love what I do, I don’t mind working hard. But lately I’ve just been trying to listen to my body and when I start to feel overwhelmed or exhausted, I take a personal day! 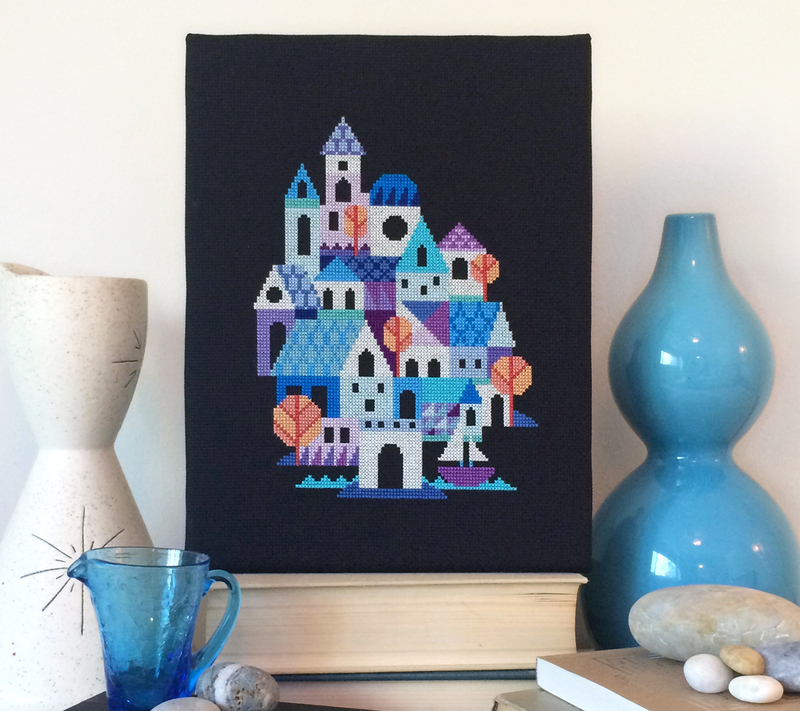 I happened to launch Satsuma Street right around the same time that Instagram was becoming popular, and I really enjoyed posting process shots and finding other cross-stitch fans there. I encouraged my customers to share photos of the projects they had made using my patterns, and that started a really organic and fun way for new customers to find me. By using the app to document my progress on new designs, I can generate excitement for them before they even come out, and it’s a great way to quickly gauge which products will be popular or not. Don’t get too upset about people sharing or copying your work. The first time I discovered people sharing my patterns illegally, or someone knocking off my designs, it felt like a punch in the gut, and my first reaction was to stop putting my work out there in the world. But I’ve learned that while the internet can expose you to people who try to steal or copy your work, it also exposes you to many, many more people who will love and respect what you’re making and pay you for it. You should definitely protect your intellectual property and defend it when you can, but don’t let negativity consume you. The benefits of being able to connect with people all over the world cannot be overstated, so ignore the copycats and just keep making! 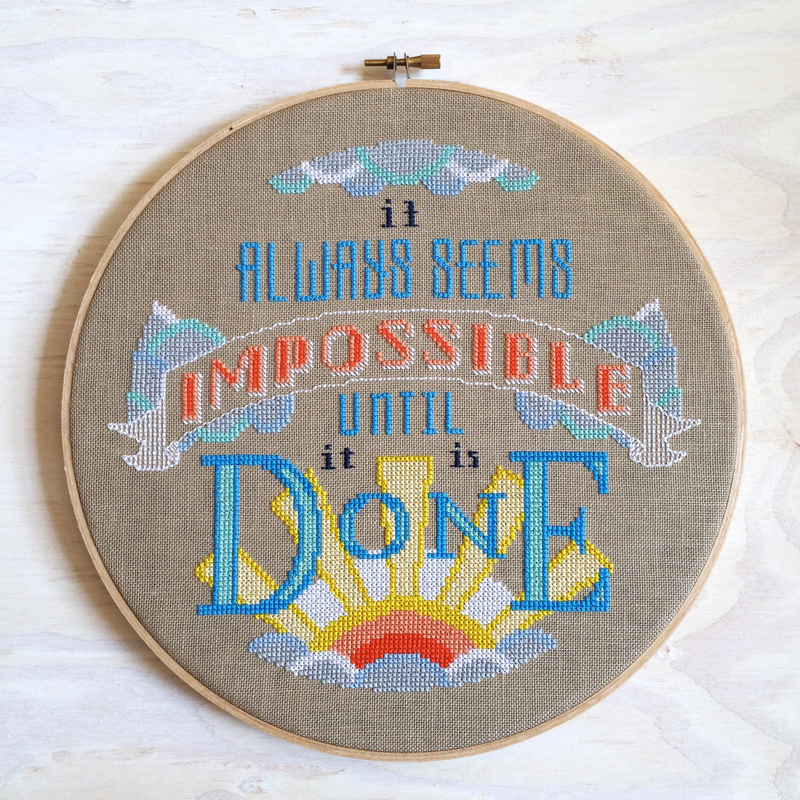 I hope that in 5 years I’ll still be running Satsuma Street, and helping to change people’s ideas about what cross-stitch and needlework can be. I’m planning to explore video and web classes, so I can help share my love of the craft to those who haven’t tried it yet. And I would love to expand and start applying my design sense to other products, so hopefully in the next few years I’ll find the time to make that leap.